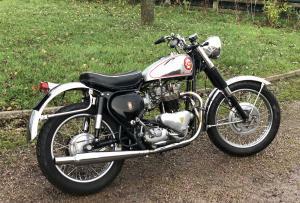 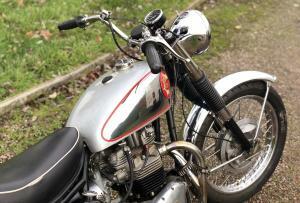 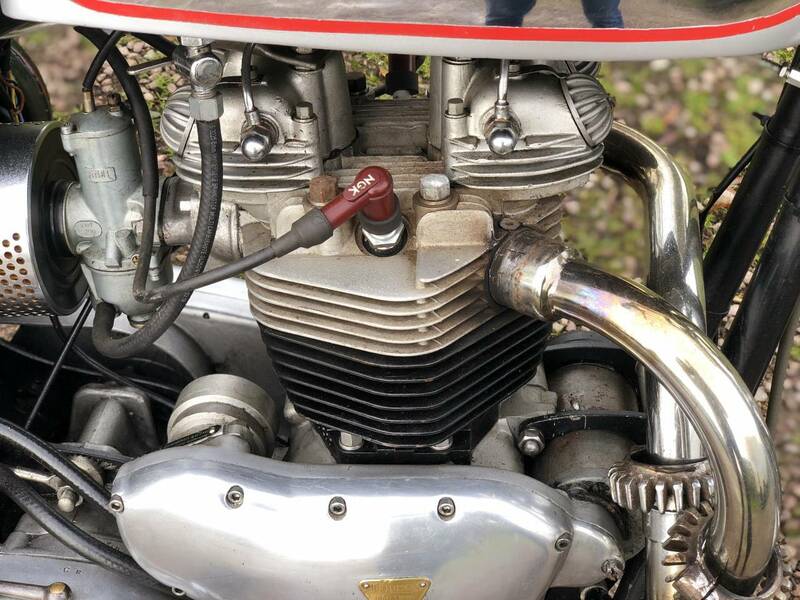 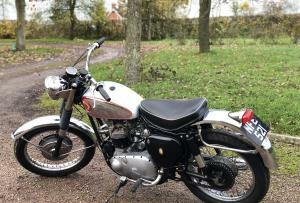 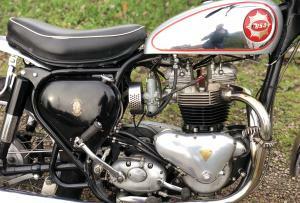 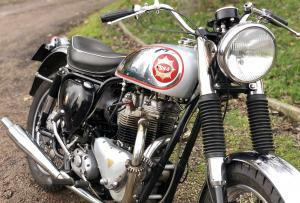 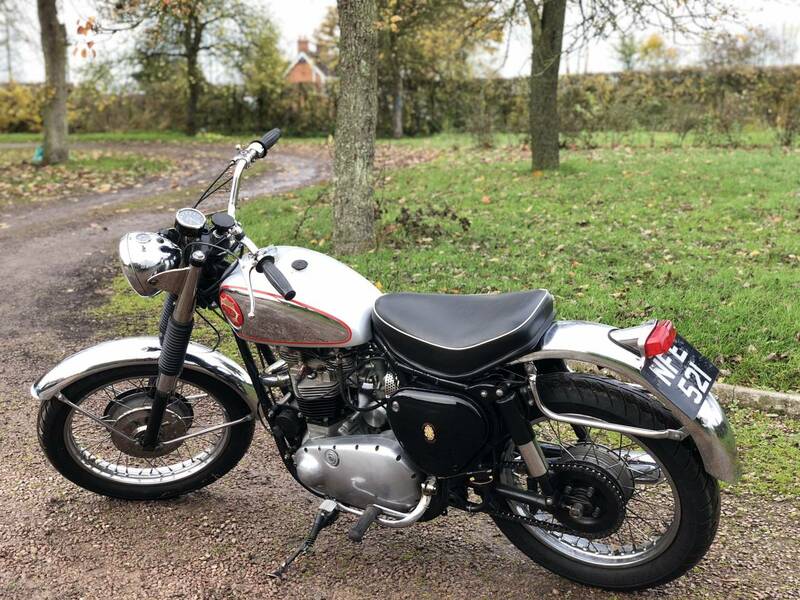 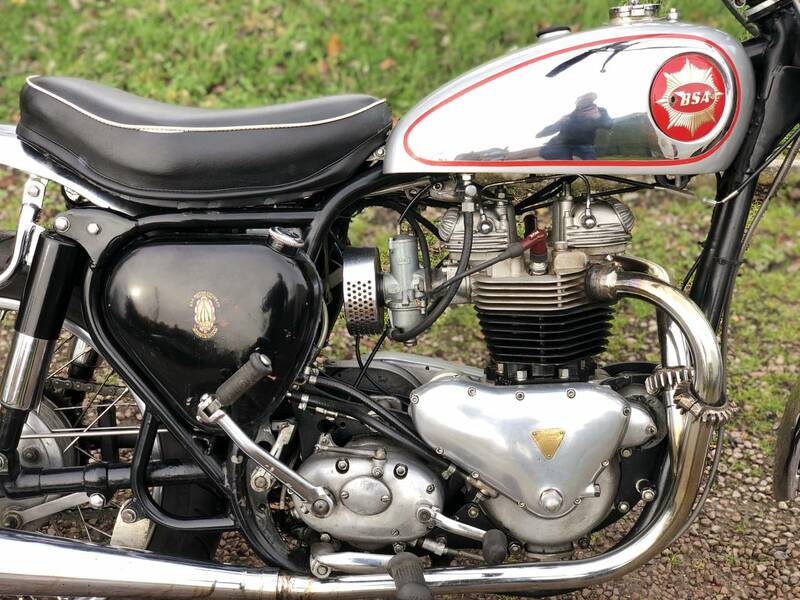 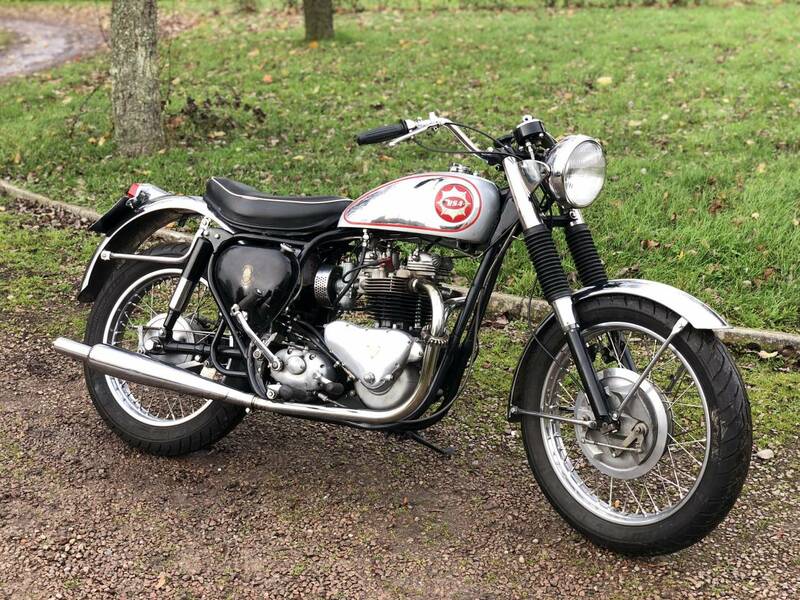 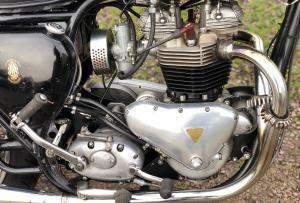 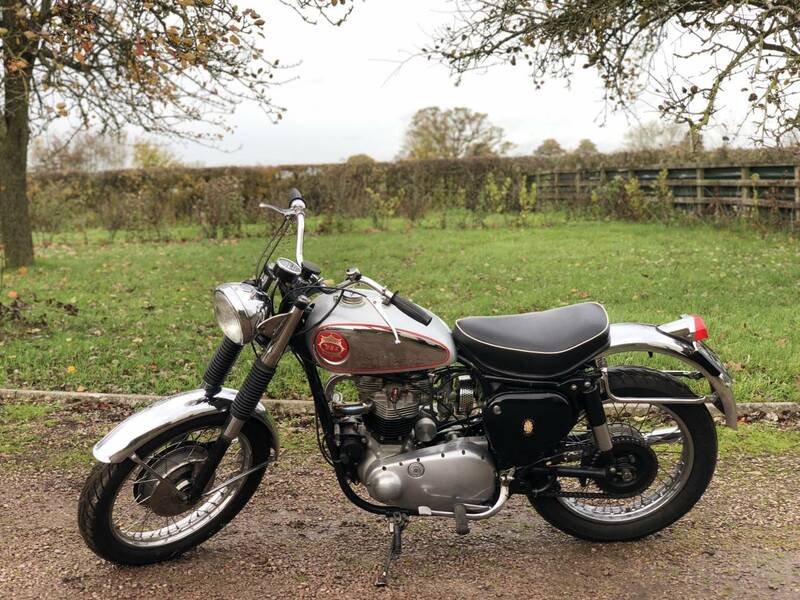 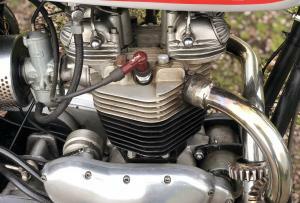 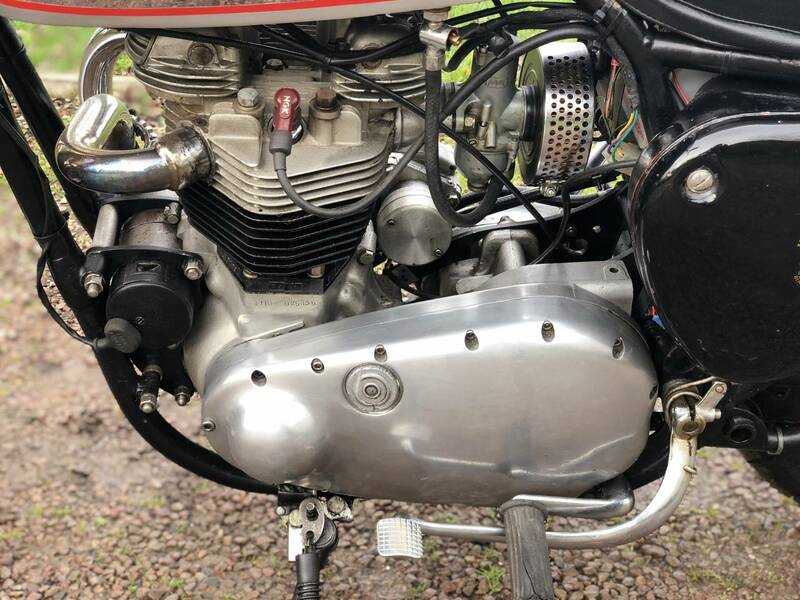 TRIBSA 1959 750cc .The Frame Is A Duplex BSA B31 , With Big Bearing T110 Crank Cases , With Reground Unit Bonny Crank , Which Has Been Balanced ; Pre Unit 9 Stud Bonny Head , With A New Amal Premier Carb ; New Valves And Guides ; 750 cc Morgo Barrels And Pistons , With Fast Road Cams And Morgo Oil Pump . 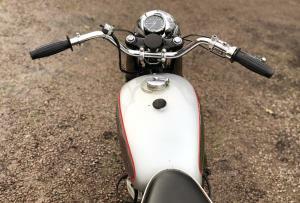 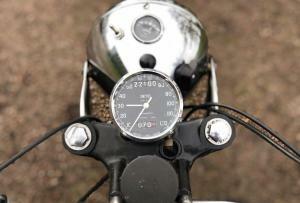 The Primary Side Is A10 , With A Triumph 4 Spring Clutch . 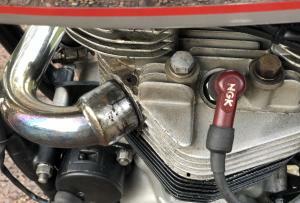 The Fork Internals Have Been Specially Made And Are Double Damped , With Taper Head Bearings Up Top . 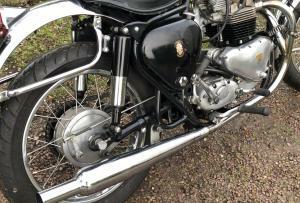 The Rims Are New British Chrome , With SS Spokes ; Full Width Hubs , With New Tyres . 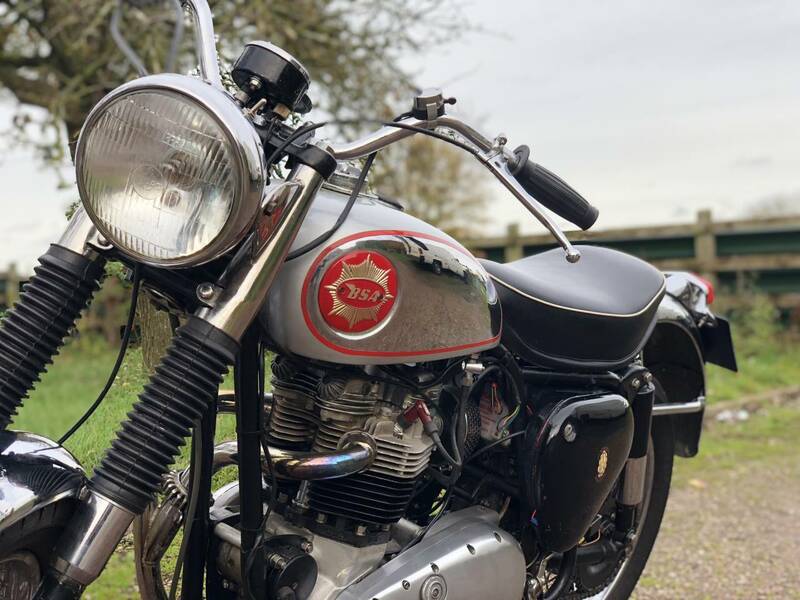 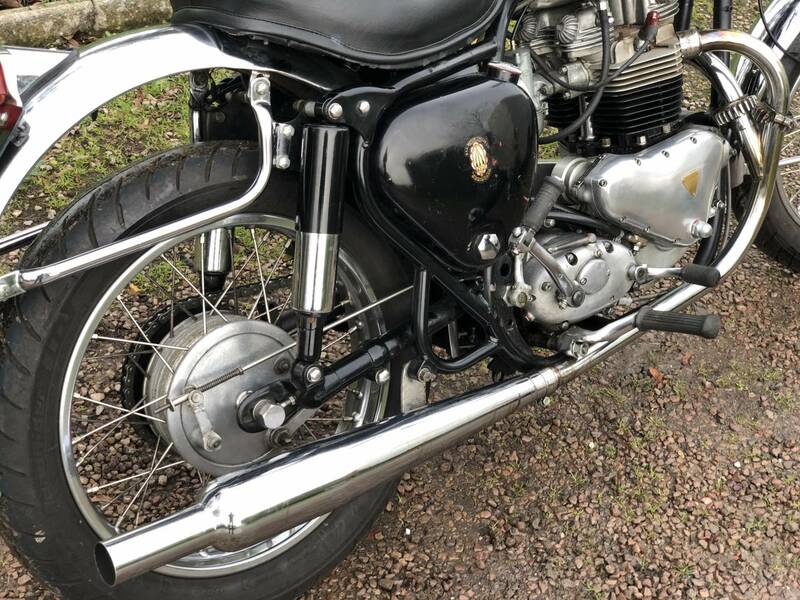 It Has A Superb TLS Front Brake ; Gold Star Silencer ; New High Quality Catalina , Gold Star Chrome Guards , With Catalina Style Single Seat And Chrome Catalina Tank . 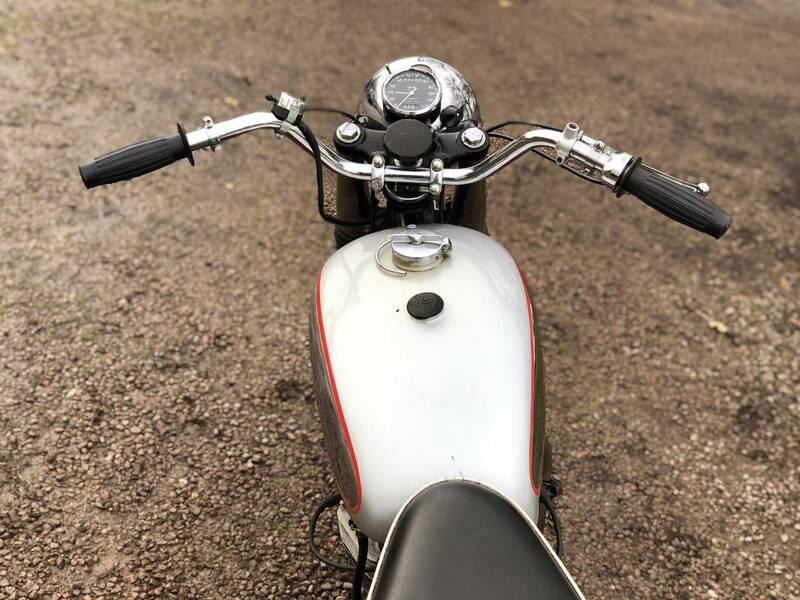 It Has 12 Volt Electrics , With A New Wiring Loom And Rebuilt Dynamo ; New Electrics , With Modern Components ; Electronic Ignition . 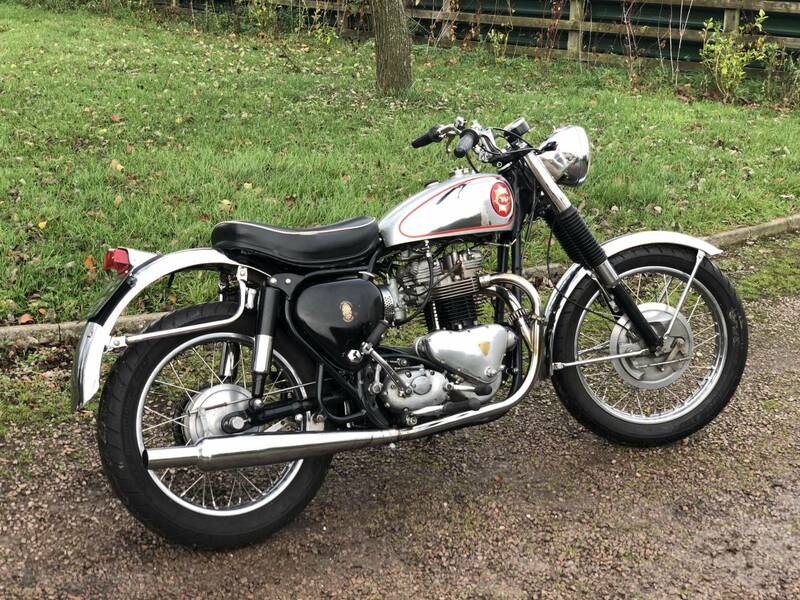 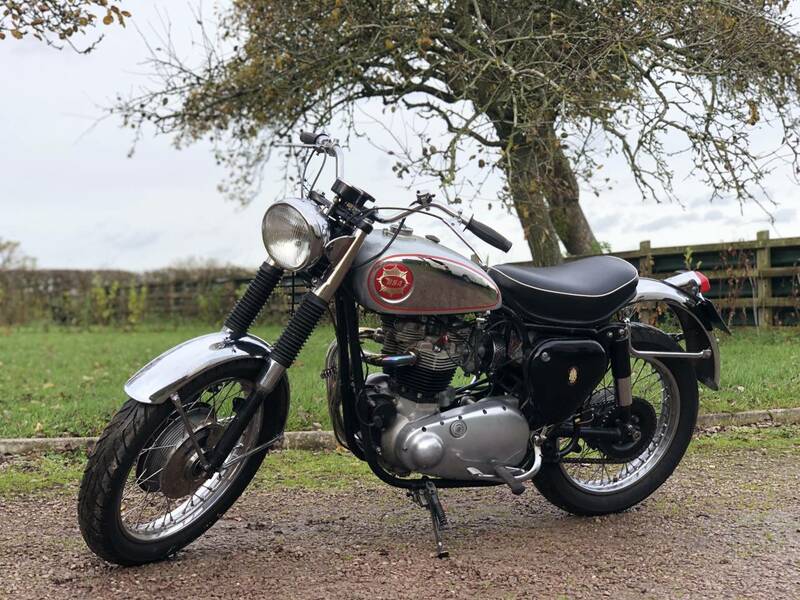 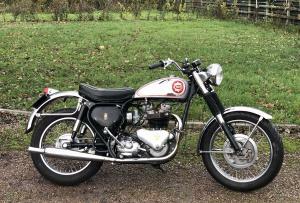 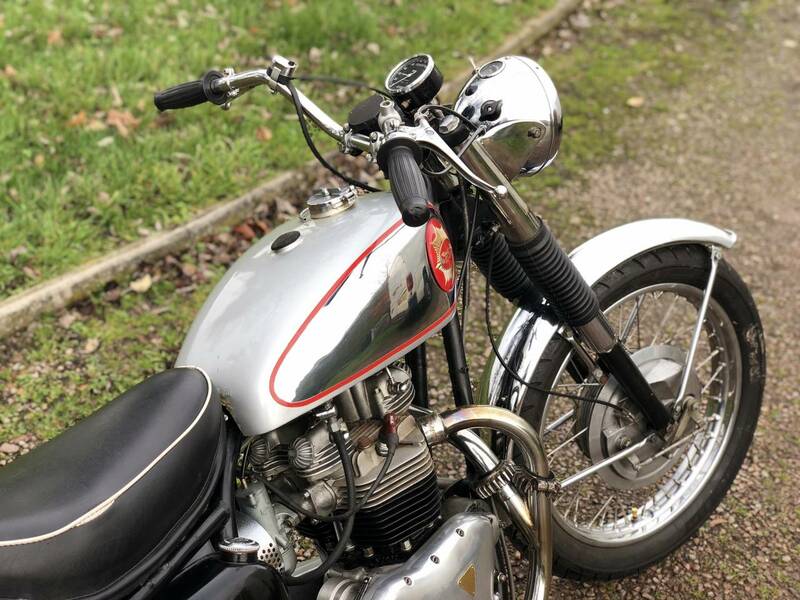 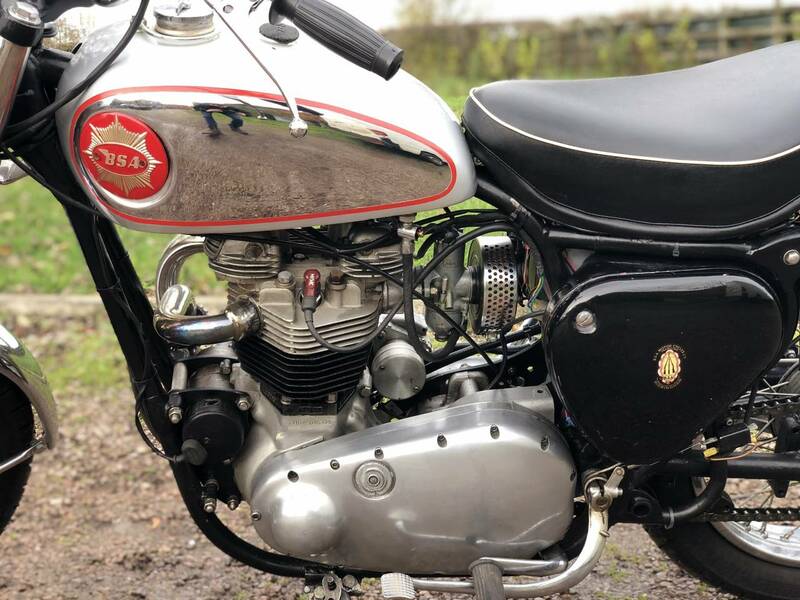 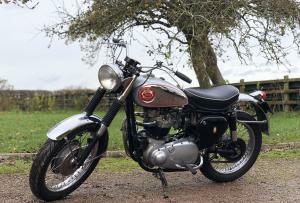 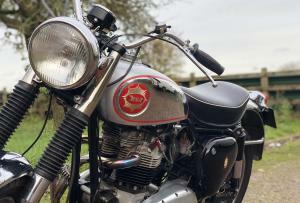 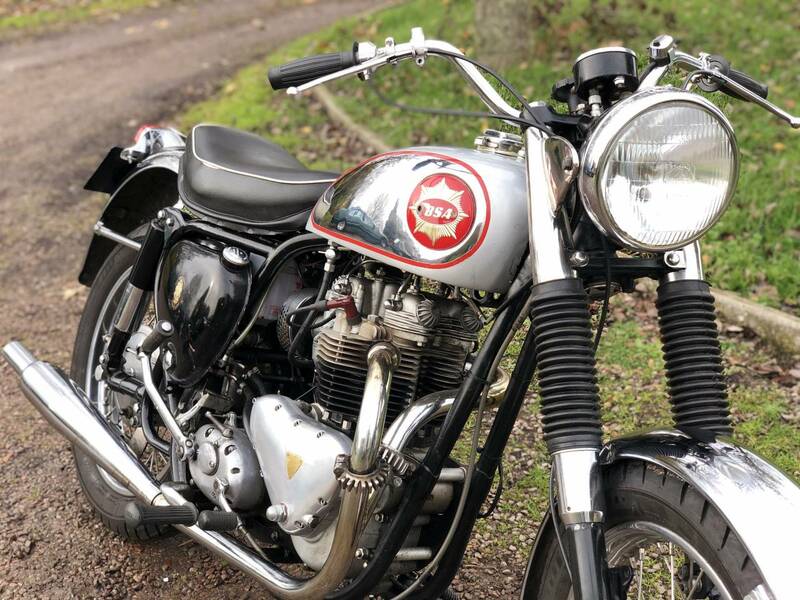 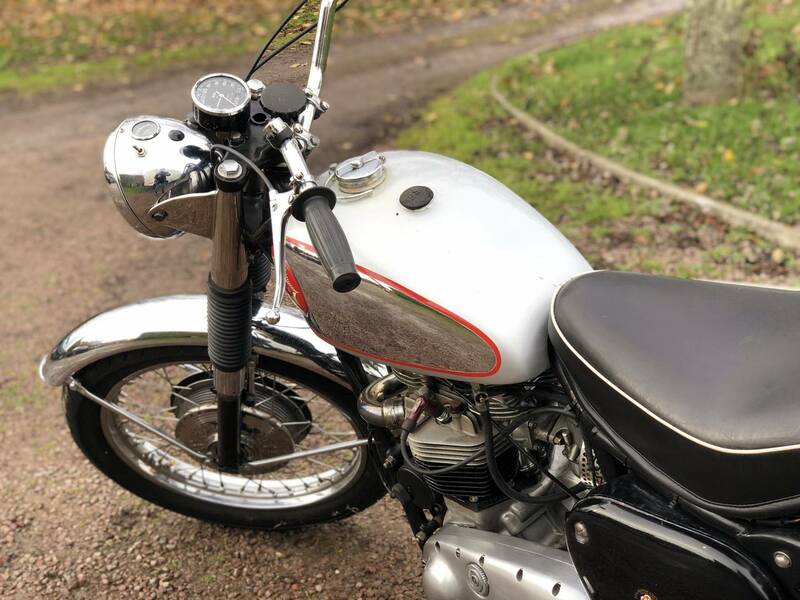 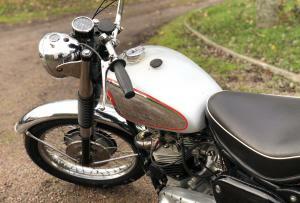 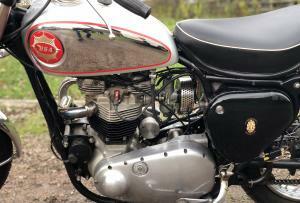 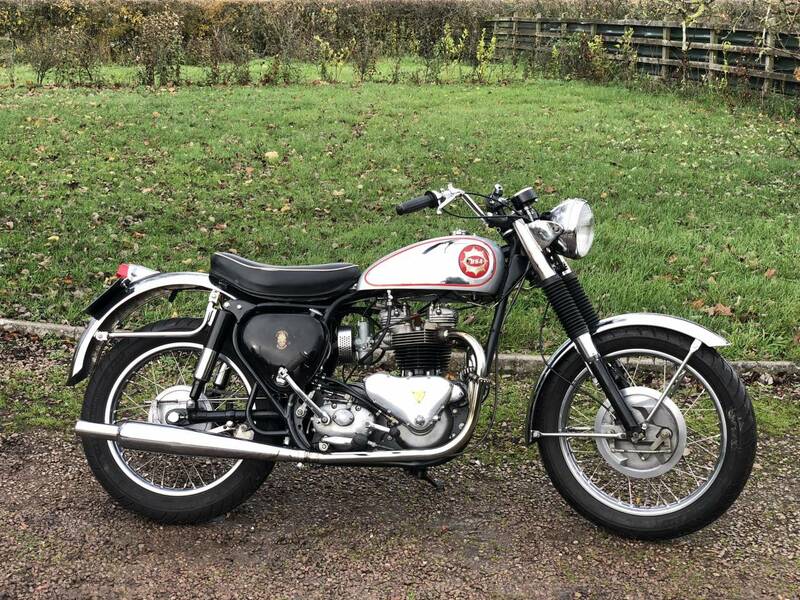 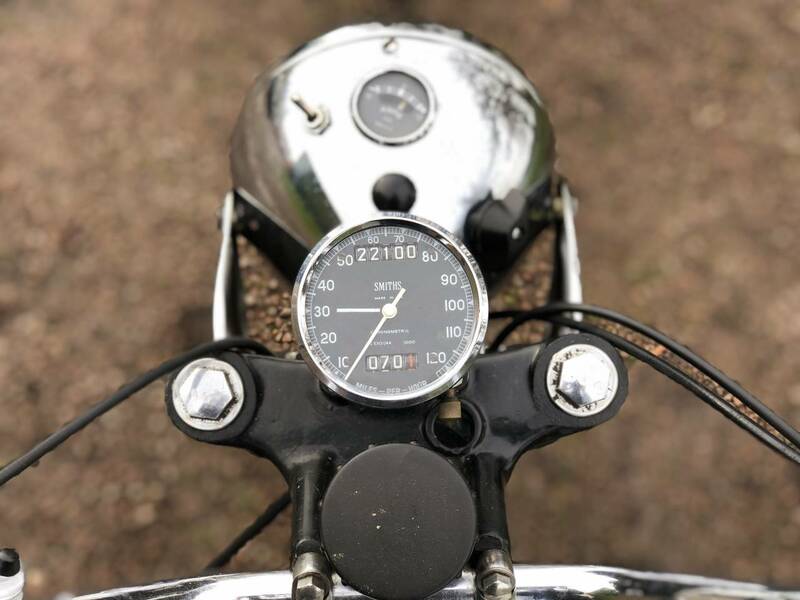 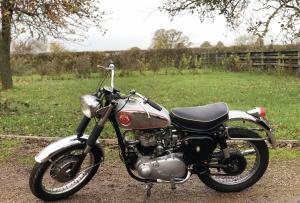 Has Covered Several Long Trips Around Scotland .It's Still Retains It's Valuable , Transferrable 1959 Registration Number And Is Tax And Mot Exempt .All In All A Superb Tribsa , With All The Best Parts .Cost In Excess Of The Asking Price To Build ! 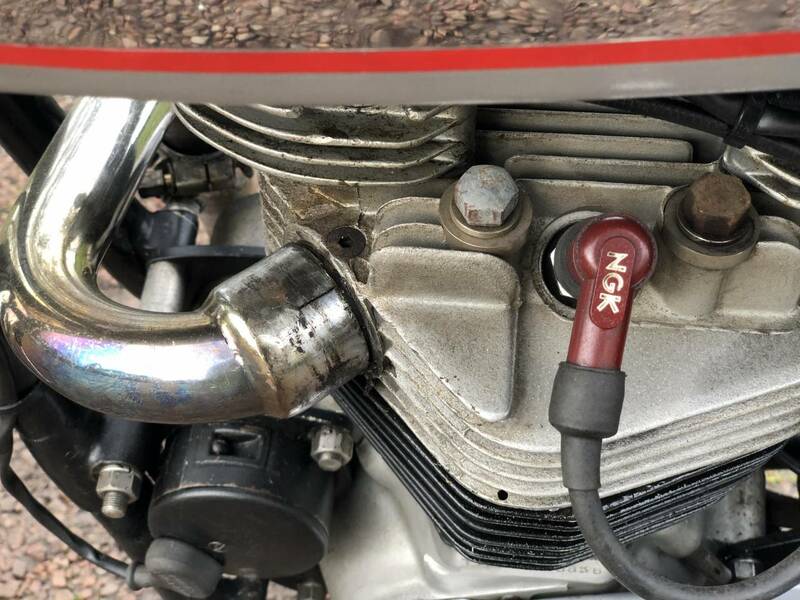 A Great Investment. 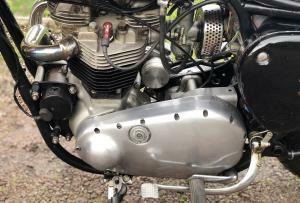 Now Need Some Attention Which Includes: Exhaust ports Need Sorting As Seen In The Photos, Tank Will Need Resealing, Needs A Horn And Some General Fettling .